A few months ago my mother in law had brought back from one of her sorority group meetings a recipe book that contained all of their best recipes. She’s been trying recipes from this book this week and last night tried an easy microwavable Furikake Wasabi Salmon. The salmon steaks are topped with mayonnaise, wasabi, drizzled with Mr. Yoshida’s sauce (this is a brand of sauce), and then sprinkled with Aji Nori furikake. I did not eat this last night as they’d also bought some pork eggplant and beef with black beans that I couldn’t resist. I just love eggplant dishes so I ate mostly that for dinner! I didn’t take much rice, so this will only count as 1 point. On the right side I have more of the above-mentioned eggplant and some of the bell peppers from the beef dish. The eggplant was rather oily from the pork, so I’ll add another point on for that. The salmon was a bit oily too, but since this oil came from the salmon itself, I count that as a healthy oil. The mayo I will add another point, which brings this to a 3 point lunch. By the way, the (102) is the number of my bento. I need to keep better track! I also got another good cheap find yesterday. Today Baby Girl needed to wear a certain color and she didn’t have it, so we went to Ross after leaving the in-laws. I found a set of red and blue silicon baking cups for $3.99! That’s a lot cheaper than the $8.99 ones I saw at Walmart and at least this one had two colors! So yeah… very happy. I also bought a walking at home exercise DVD because Mr. Pikko has expressed concern about me running in the dark. Speaking of the store, I added in more of the Hello Kitty stuff again as well as some additional accessories. 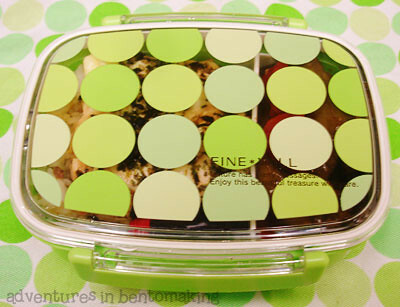 I have a crapton of bento supples to sell in the store at home but am just too lazy to put a lot of it up. Amazingly, Mr. Pikko, who calls everything to do with any of my hobbies my “junks” refers to my bento stuff as “bento stuffs”. Maybe he silently approves?? Tomorrow is the big day! Our first football game of the season! I bought Buddy a #15 toddler shirt and Baby Girl a UH windbreaker jacket so that she wouldn’t get cold wearing the cheerleader outfit. This is our first year with season tickets so I really hope that we are sitting in a family friendly area. We bought staff tickets which should up the chances of getting seats by old timer football fans. I just hope they don’t mind kids. 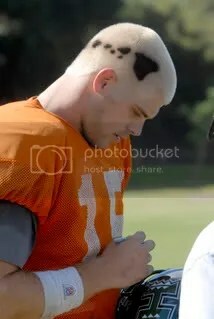 So while I’m talking about football, I should mention the horrifying new haircut that Colt Brennan has. Dude, we get you love Hawaii, but who got you drunk and took you to the barber? I suppose it’s still better than the dreadlocks though… Also, unless he plans on looking at his feet everywhere he goes, when he puts his head upright the Hawaiian islands are upside down… Oi ya yoi! 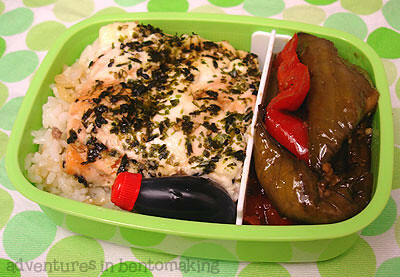 I’m looking forward to our first football bento. 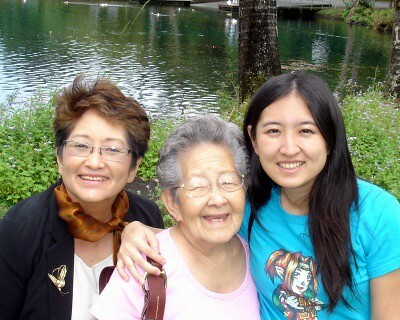 I think I will pack cone sushi, dashimaki tamago, spam musubi, and hash patties. There will be 6 of us there with the two kids. We’ll see if we actually get to watch the game or if this will be another season of “I want to go walking.” and “I want a smoothie.” Hopefully they have andagi this year!